Oliver (@Oliver_Mensah) is currently a National Service Personnel at AgroInnova. There, he works on API design and mobile Applications. 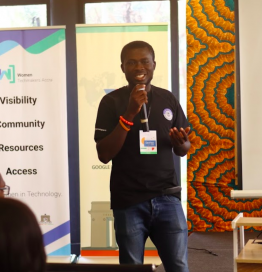 While he is not working on a software project, he is either writing technical article or organizing/volunteering for tech events that aim to build the tech ecosystem in Ghana.